The department has an active and committed group of alumni. Please explore the most recent alumni newsletters of the geology and meteorology programs and read [testimonials from some of our alumni](/resources/alumni-newsletters/meet-our-alumni/). 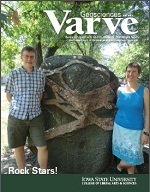 The Varve is the annual newsletter for geology and earth science alumni, published each fall. 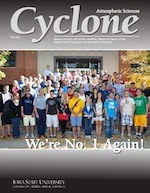 The Cyclone is an annual newsletter for meteorology alumni, published in the winter.